LYANTONDE/MBARARA/KAMPALA – Following the Monday night high level national security meeting that recommended the arrest of former Inspector General of Police Kale Kayihura, fresh details have emerged of how the top military leadership plotted to execute the arrest. Sources privy to the military plans have told PML Daily that the army leadership led by Chief of Defence Forces David Muhoozi resolved to carry out the arrest operation in a clandestine, dignified manner that would not embarrass the four-star General and attract public ridicule. 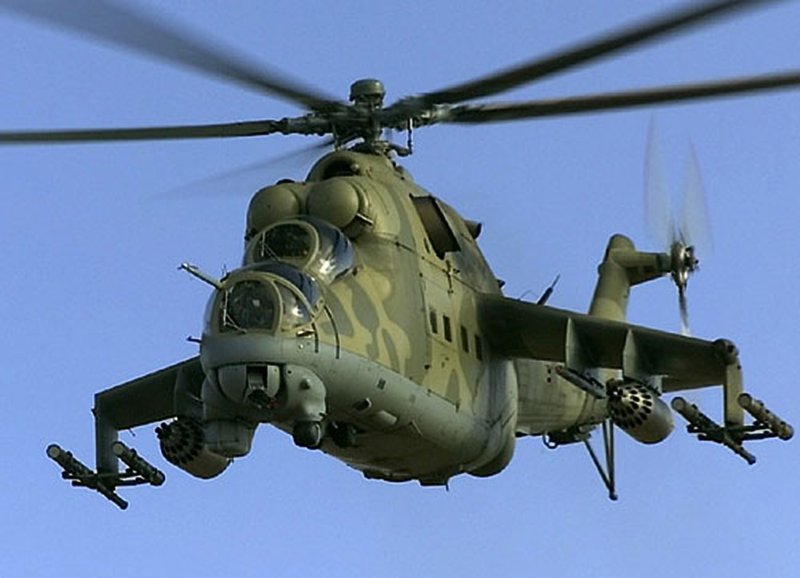 It was at this time, sources added, that a military helicopter with 40 military officers of specialized training be dispatched to Kashagama Sub County in Lyantonde District where Kayihura has been staying on his farm and bring him to Kampala for questioning. The soldiers were to work under the instructions of the Deputy Chief of Defence Forces Maj. Gen. Wilson Mbadi. 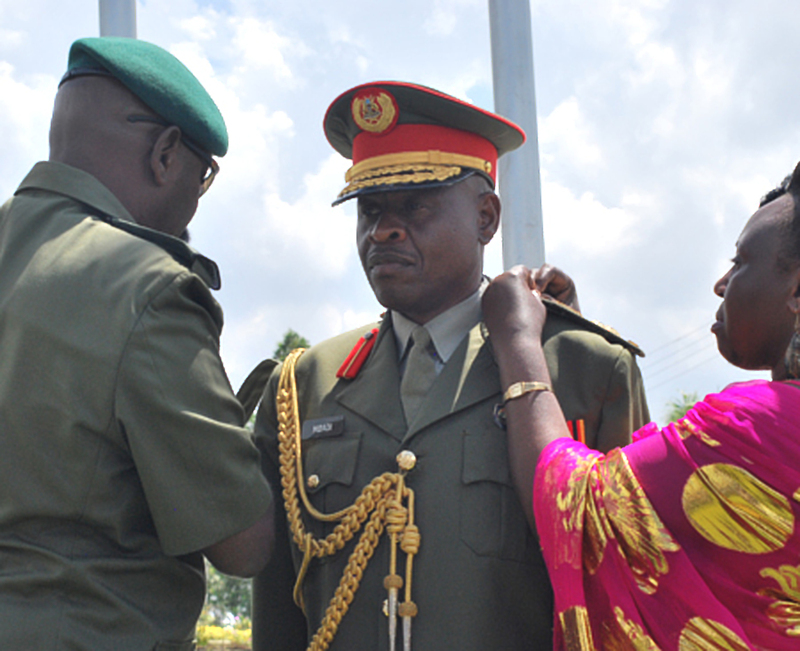 Deputy Chief of Defence Forces Maj. Gen. Wilson Mbadi. True to plan, the chopper landed in Kayihura’s farm in Kashagama on Tuesday afternoon. However, sources said the former police chief was nowhere to be seen, adding that when they questioned workers at the farm, it was established that he had moved in the direction of Mbarara. Sources involved in the operation said Kayihura had been tipped off by his informers in the army of the impending arrest, allowing him time to flee. It is said at this time, security forces sent orders to check whether he was in Mbarara or was heading there. 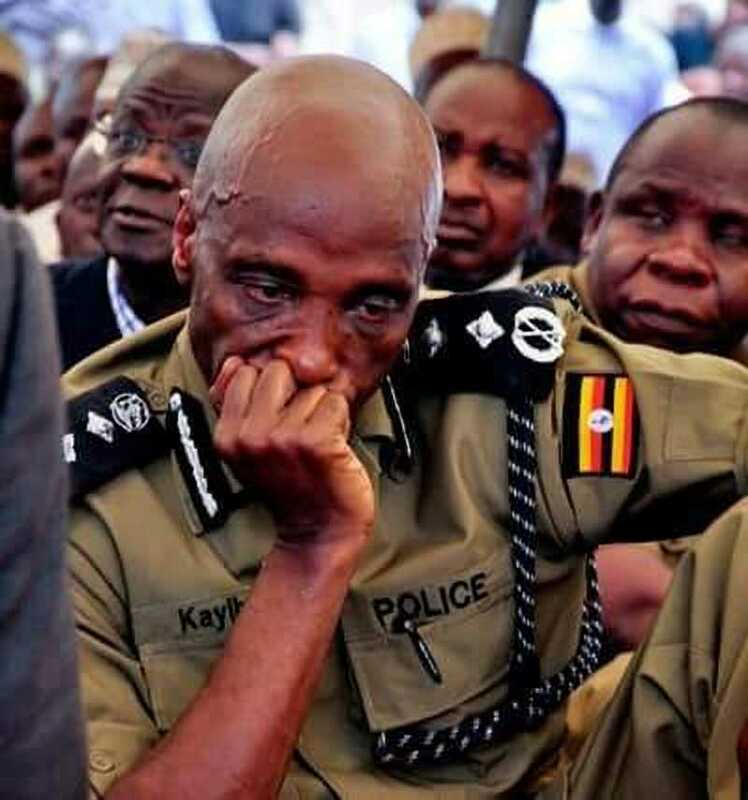 Consequently, sources added, the military directed the closure of all the western border points in anticipation that Kayihura would flee to a neighbouring country. Meanwhile, army operatives went to Court Yard Hotel in Lyantonde, which is located on the Lyantonde-Mbarara, and searched it, fearing that he would be holed up there since he always frequented it. however, they did not find him nor a trace of him having been there that day. Instead the hotel manager told the soldiers that Kayihura had last visited the place on Sunday. However, security sources add that road blocks were then staged on all roads from Lyantonde to Mbarara with the aim of arresting him. Highly placed security sources said after leaving his farm, Kayihura had instead been booked into Igongo Cultural Centre near Mbarara where he reportedly spent the Tuesday night, hence eluding security nets set up in Mbarara for him. On the morning of Wednesday, he reportedly left the hotel and moved towards the direction of Lyantonde. However, he was then intercepted at a road block near Lyantonde and ordered to cooperate with the soldiers to avoid embarrassment. He was then escorted back to Mbarara Army Barracks at Makenke where the military chopper was again sent to pick him up before bringing him to Kampala.